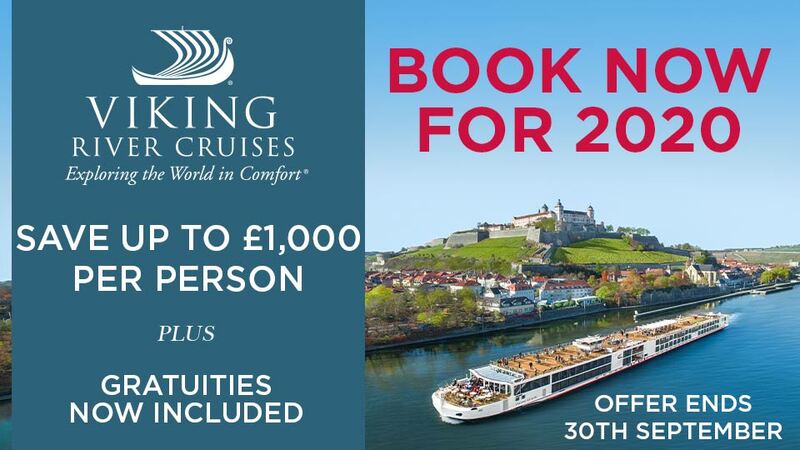 From the lush green vineyards of Burgundy to the sun-kissed hills of Provence and the wild ruggedness of the Ardeche gorges to the medieval allure of Avignon - on this truly enthralling cruise every day is full of fascination. Fly to Lyon, Marseille or Montpellier where you will be met and taken to the ship moored in Lyon’s picturesque historic centre. The dedicated crew will welcome you on board, ensuring you settle into your comfortable and well-equipped cabin and familiarise yourself with the ship – your first-class floating hotel. After your first splendid breakfast, you have a leisurely start enjoying a guided tour of Lyon, one of France's most interesting cities. The Rhône valley has been the route of choice for invading armies and peaceful traders since ancient times and nestling at the head of the valley at the confluence of two great rivers, the area cried out to be fortified. Founded by the Gauls, Julius Caesar made it his capital and the Emperor Claudius, conqueror of Britain was born here - Lyon was on the map! There are a host of their remains to see but the city came to prominence from the Middle Ages onwards, making a fortune from silk manufacture. Wealth poured in, funding the multitude of renaissance buildings, rich churches and one of Europe's most splendid town squares, the Place Bellecour, which today adds greatly to the city's character. Old Lyon is crammed with atmospheric antique shops and intriguing 'traboules' – narrow passages passing through actual houses which enabled silk merchants to reach the river more easily and today are just delightful to amble through. 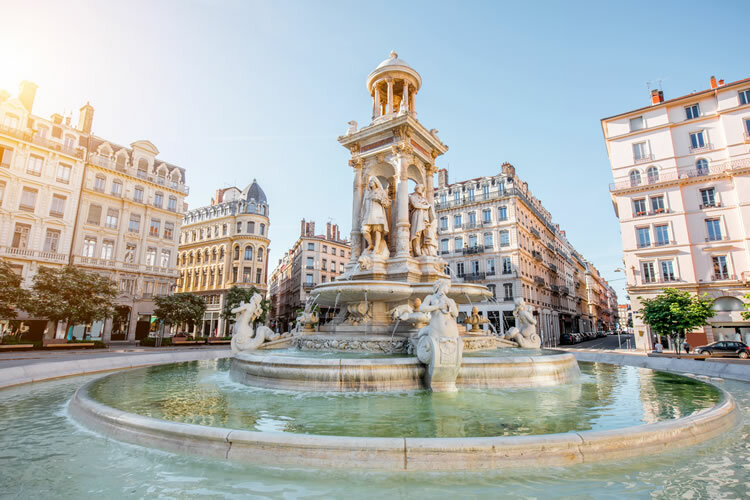 Lyon is also generally acknowledged as France's (and if you ask a local, that inevitably means the world's), gastronomic capital! In fairness it has much to commend it: nouvelle cuisine was invented near here and you literally trip over the ubiquitous and amazing food shops and restaurants, of which there are more per capita, than anywhere else in the world. As you enjoy your first lunch, the ship quietly slips its moorings, cruising upstream, catching our first glimpses of the vine-clad slopes of the hazy green Beaujolais hills, as you approach one of the world's most famous wine producing regions. On our left you'll see the picturesque villages – Morgon, Fleury, Juliénas, Chénas and many more, whilst on the right, you may be lucky enough to catch a glimpse of snowy Mont Blanc – Western Europe's highest mountain. As the afternoon drifts into evening, the white wines of Mâcon now hold sway as you cruise past the town that gives them its name and what could be better than a cool crisp glass on the sundeck before retiring to the restaurant for this evening's culinary delights, prepared by the outstanding chef. Rising this morning, you are berthed in Chalon, the home of Niépce, the inventor of photography, and gateway to Burgundy. On this morning's tour you'll see the picturesque yet surprisingly tiny villages that read like a top restaurant's wine list - Meursault, Volnay, Pommard, Gevrey-Chambertin and many more, the source of some of world's most sublime wines. Nearby is medieval Beaune, Burgundy's wine capital, which is wonderful to just wander around and in its centre is the instantly recognisable Hotel Dieu with its multi-coloured tiled roof. A stunning building, built as a hospital in the 15th century, a prestigious annual wine auction takes place here, the considerable proceeds of which support the hospital to this day. Of course you cannot visit Burgundy without sampling its amazing wine, so you visit the cellars of one of the most traditional of winemakers for a tour and tasting, before returning to the ship for lunch. 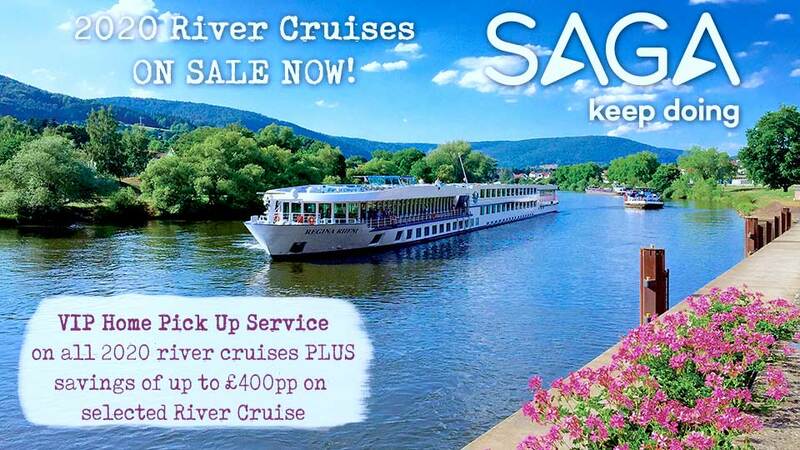 One of river cruising's great pleasures is the fascination of waking in a completely different location! Overnight, the ship has cruised almost imperceptibly south with breakfast in the ancient Roman stronghold of Vienne, established under Julius Caesar. Superbly located in a narrow section of the Rhône Valley where it turns sharply around a steep bluff, Vienne is a treasure trove of historic remains and a walk around will bring its story to life. During another superb lunch, enter perhaps the most picturesque section of the Rhône Valley as the river squeezes and twists through narrow defiles like Condrieu, St Rambert d'Albon and St Vallier, lined with wooded river cliffs, rising high to both sides. Traditionally these stretches were the most dangerous due to fierce currents and varying water levels and this afternoon is ideally spent on the sun-deck taking in the exceptional views as you navigate a series of locks which never cease to fascinate. Later moor in the pretty provincial town of Tournon with its tree-lined avenues and across the river, the vine-covered hillsides produce Hermitage, yet another of the world's most revered wines - a fitting view as you enjoy another exquisite dinner. This morning cruise effortlessly downstream. Over to the left you catch glimpses of the Alps and as you approach Valence, the landscape gradually becomes less green with more ochres and magentas, whilst the houses have the sloping terracotta roofs resplendent of the Mediterranean and the heady aroma of the sweet air has the unmistakable scent of pine and cypress. You can only be in the midi, or as it's called - the South of France. Catch up on some reading or just laze in the sun whilst the temperature rises. After lunch you'll explore one of France's most outstanding natural wonders, the Ardèche gorges, the scale of which is a fitting reminder of Mother Nature's awesome power. As the road twists and turns, steep cliffs make a thousand feet sheer drop to the torrential river below, eloquently snaking its way through stupendous natural formations cumulating in a natural rock arch carved by the wild waters of history. With caves, grottoes and natural sculptures, there are amazing views at every turn before returning to the gentler sides of the Rhône Valley and the ship in charming Viviers, a medieval town clustered around its Romanesque cathedral. The ship casts off through the famous giant lock at Bollène, as you relax over dinner. This morning you wake under the azure-blue skies of deepest Provence, amidst the rich warm stone of historic Arles. Although small in size, it was the key stronghold on the Roman road to Spain, one of the empire's richest possessions. Sea-going ships could reach here and the city became the capital of Gaul, Spain and Britain. Your guided tour will help you to appreciate the finer points of Arles' magnificent Roman remains, including the splendour of the great amphitheatre, the best preserved such building in the world and the source of most of yout knowledge of Roman entertainment; the decorum of the theatre built by Augustus; the extraordinary atmosphere of the ancient necropolis - and the Forum, once the city's heart, where Constantine was installed as Emperor. That disturbed but great genius of an artist Van Gogh lived here for two years during his most prolific period and, inspired by the light and beauty of the Provençal countryside produced 300 works including the Sower, Café de Nuit, the Red Vines and of course, Sunflowers. After lunch visit the amazing Roman aqueduct, the Pont du Gard, one of the wonders of the ancient world. No amount of fame can diminish the first sight of this 2,000 year old structure which the Romans considered to be the most important testimony to their greatness and indeed it was the highest bridge they ever built. The statistics are staggering: 900 feet long and 160 feet high. Some of the stones are 6 feet thick and no mortar was used in construction. Just to put this in perspective this is a greater span than the river Thames in London. The situation is lovely too, with pine and cypress covered hills adding to the harmonious setting. Rejoining the ship, cruise along the Rhône during dinner passing the 13th century castle at Tarascon seemingly standing guard on the river banks. As the morning light catches the red roofs of Avignon's majestic medieval skyline, it's a sight to behold over breakfast, after which you embark on a guided tour. Avignon's destiny changed during the 14th century, with the exile of the Pope's court here from Rome, bringing with it a century of prosperity. But to truly embrace the feel of historic Avignon you must imagine the rich furnishings, the sumptuous décor, the alleys and corridors teeming with Cardinals, Princes and Ambassadors plus countless pilgrims in the streets below eagerly anticipating benediction. The Pontiff commissioned a host of grandiose building projects and today, the city is immaculately preserved, nestling behind its almost intact 15th century walls and has more remarkable monuments, superbly decorated buildings, churches, chapels and convents than you can possibly count. Most important is the stunning Pope's Palace whose interior is a masterpiece of medieval architecture sumptuously decorated with outstanding frescoes and tapestries, whilst the private apartments are a must too. After lunch, you are free to explore as you wish, perhaps the Petit Palais, casting a critical eye over the amazing 1,000 renaissance paintings including works by Botticelli and Carpaccio, or taking a stroll on the iconic 'Pont d'Avignon' the melody about which makes us all recall our first French lessons. It's our final afternoon so you may wish to do some shopping, or just find a quiet shady street café in a timeless Provençal square and reflect on the delights of the past few days. Perhaps though, return to the sumptuous surroundings of your ship – go on the sun deck and just contemplate the wondrous places you have seen and experienced over a quiet cup of tea! This evening the Captain's dinner takes place, serving specialities of the regions you have visited during your voyage of discovery through this fascinating country. After breakfast this morning you must reluctantly leave the ship and the dedicated crew as you transfer to the airport for your flight home. Guided tours in Lyon, Arles, Avignon & the stunning Pope's Palace, visits to Vienne and Beaune and excursions to the Ardeche Gorges & Pony du Gard. For all 2019 departures you can now purchase a drinks package, at a cost of £109 per person. Draught beer; non-alcoholic beer; soft drinks; juices; red, white and rose house wines; and wine recommendations from the menu are included with lunch & dinner. Terms and conditions apply. All offers are subject to availability and operators booking conditions. Prices are based on two passengers sharing the lead in grade stateroom unless otherwise stated. All discounts have been applied to fares displayed. ^Itinerary operates in reverse, please call to confirm. We charge a one-off small £20 booking fee. That’s it - nothing more and no add ons when you pay the balance. E&OE. ABTA P6710.